One of Europe’s coolest cities. Big. English-friendly. Historical. These were my impressions of Berlin before I arrived. And they all turned out to be true. 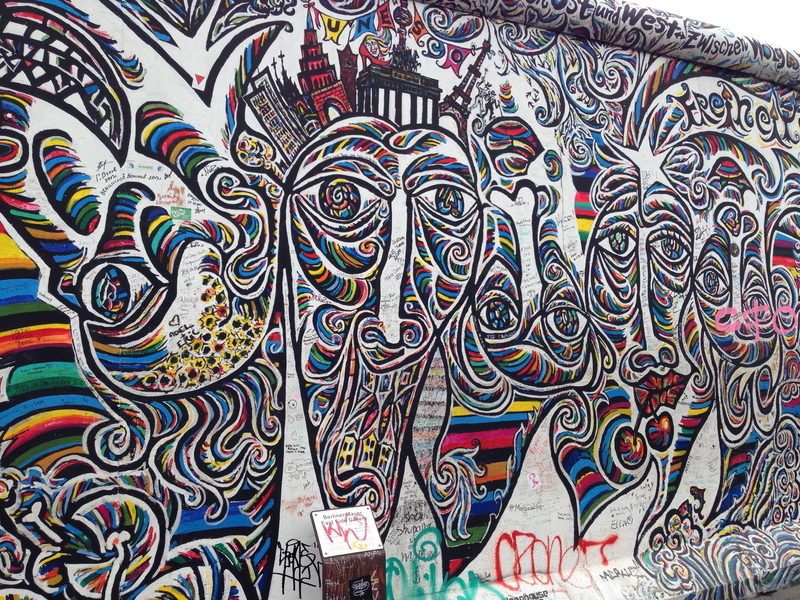 Berlin is cool, hipster and alternative and multicultural. And it’s English-friendly (sort of). 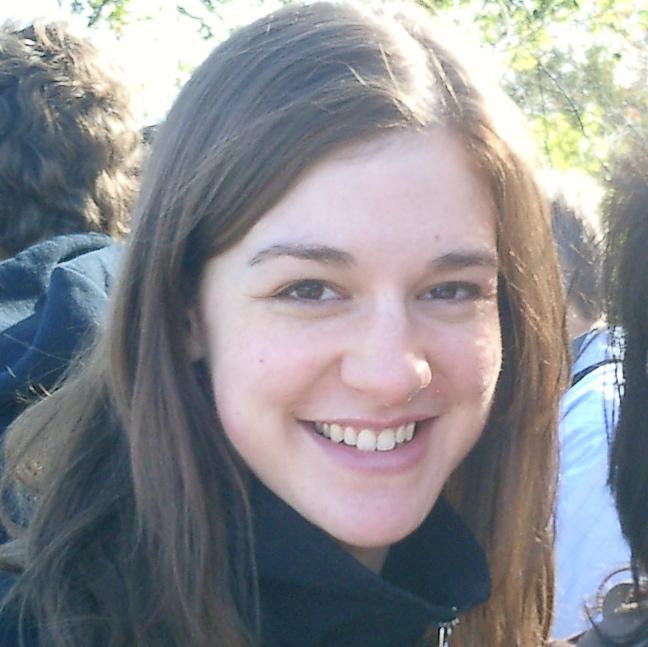 Everyone says they speak “a little English” and actually speaks a lot, but not necessarily with a smile. But the vibe of Berlin is not what I expected. I thought all that would add up to something trendy and modern, but I felt stuck in the past there. Many buildings are plain and square, reconstructed quickly after bombings during WWII. Grand, wide boulevards sport names like Karl-Marx Allee. Vendors in the streets sell communist hats and gas masks. 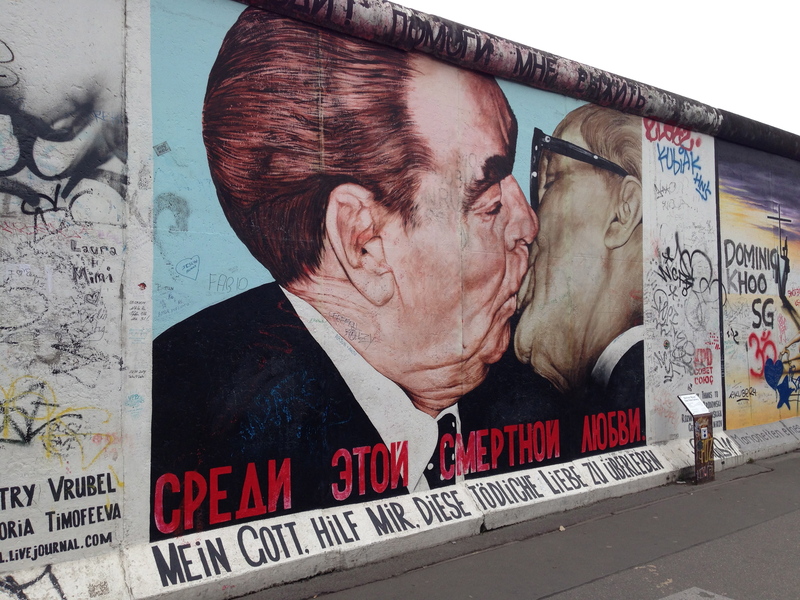 Maybe it was because I spent so much time in East Berlin. 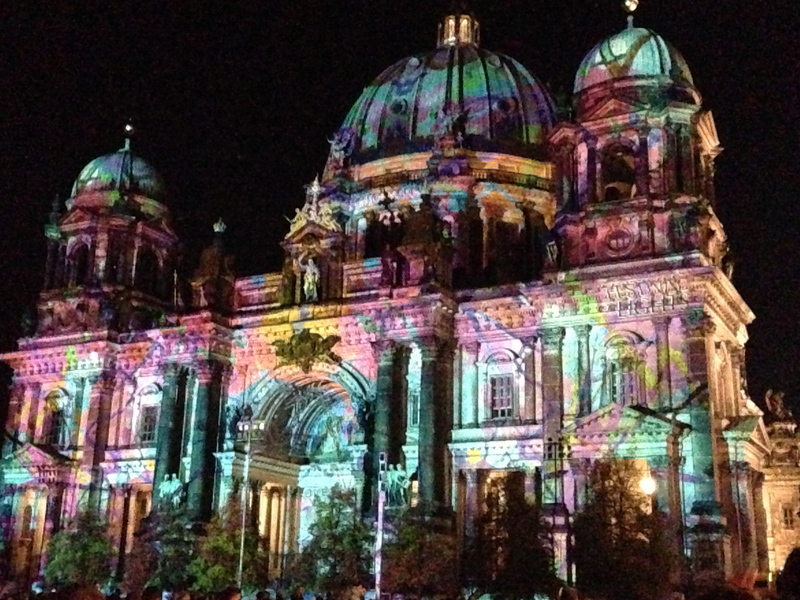 But it wasn’t until my last few nights that I started to glimpse Berlin’s lively, modern side. 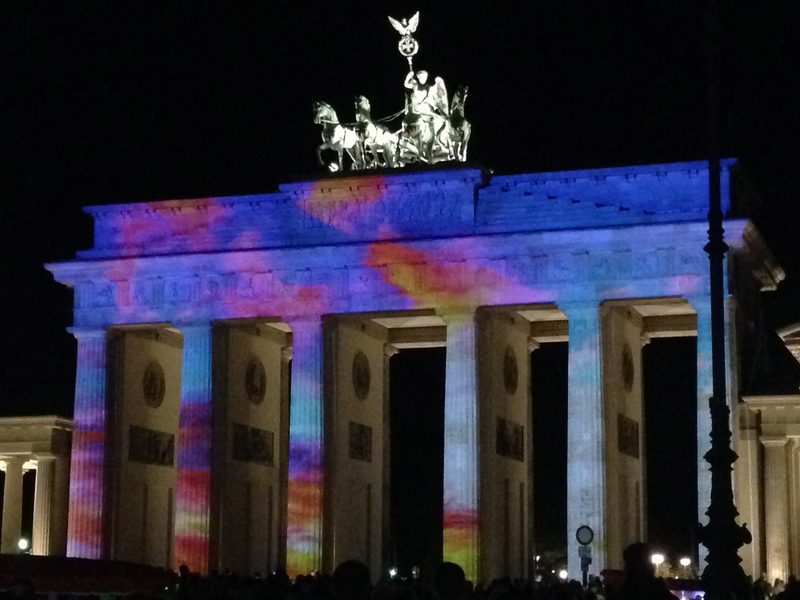 It was the Festival of Lights, and historic buildings – from the Brandenburg Gate to the Berlin Cathedral Church – were transformed into art canvases with projections of light. It was the new juxtaposed with the old, and tourists and locals alike poured onto the streets to see it. 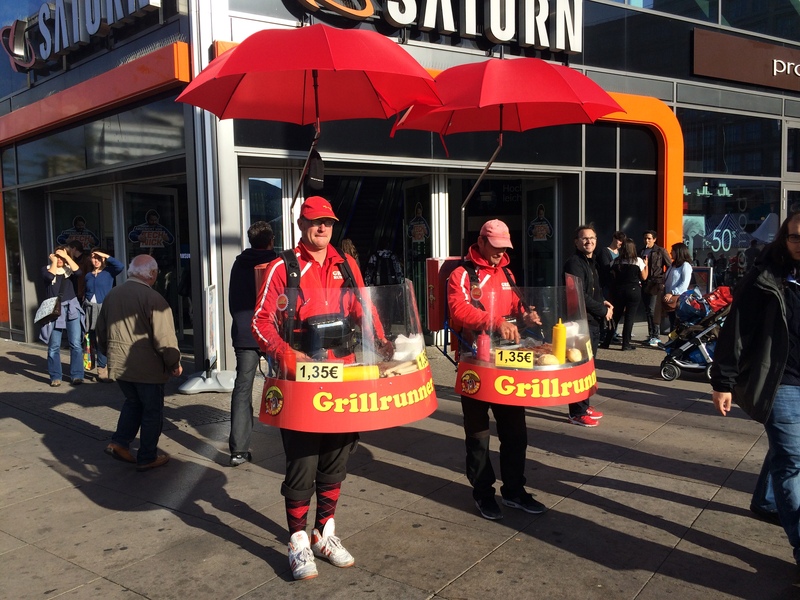 Vendors sold beer and pretzels, and the city felt more alive. 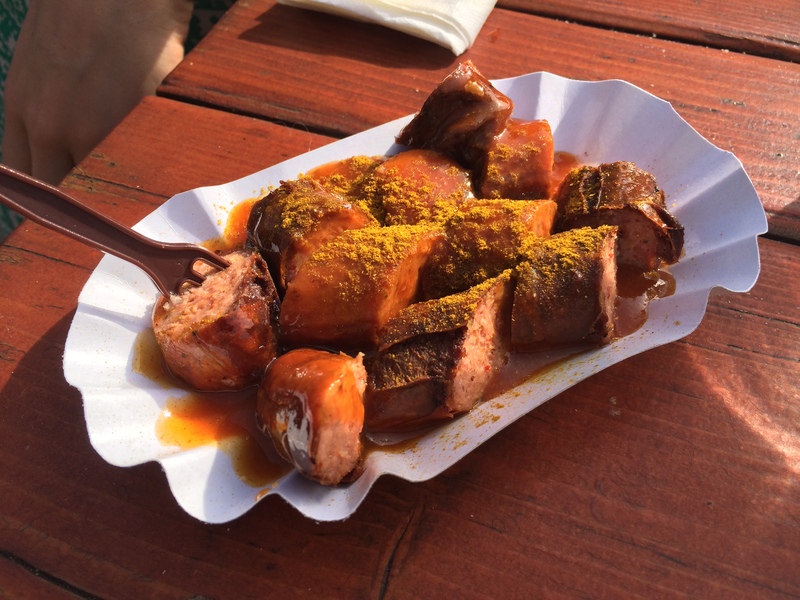 In addition to beer and pretzels, you’ll find many vendors selling hot dogs and currywurst throughout the city. Restaurants usually won’t serve you tap water – apparently locals don’t really drink it because the German word means “plumbing water” and you’re supposed to be able to afford bottled. However, restaurants are nice enough to give you a blanket when you’re sitting outside and some menus even note which items have alcohol, caffeine, preservatives, gluten, and more in them. Groceries are cheap; a half-gallon of milk might cost $1, while a bag of oatmeal costs 50 cents. 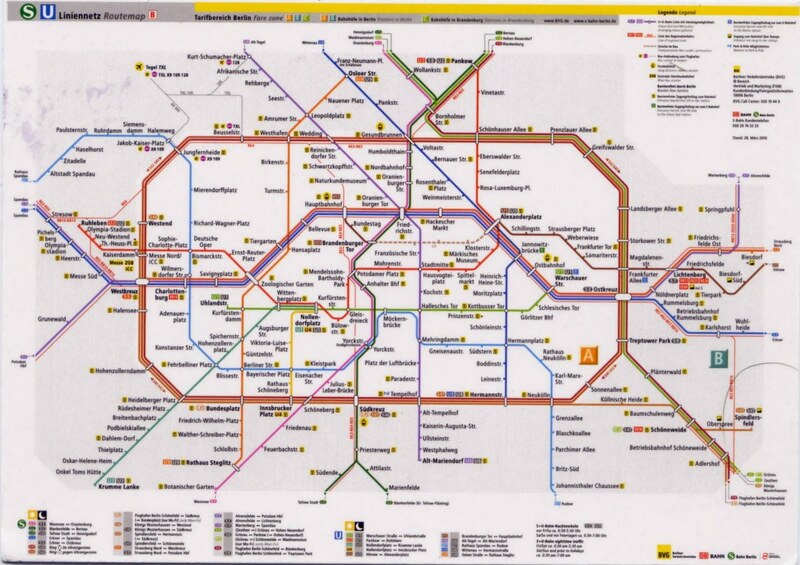 You have lots of transportation options in Berlin. 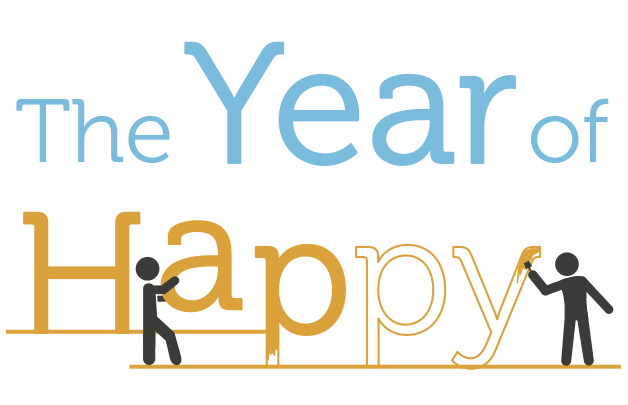 If you take the metro, make sure to stamp your ticket and watch out for plain-clothes police if you don’t. You can hop on trams, or even grab a pedi-cab. 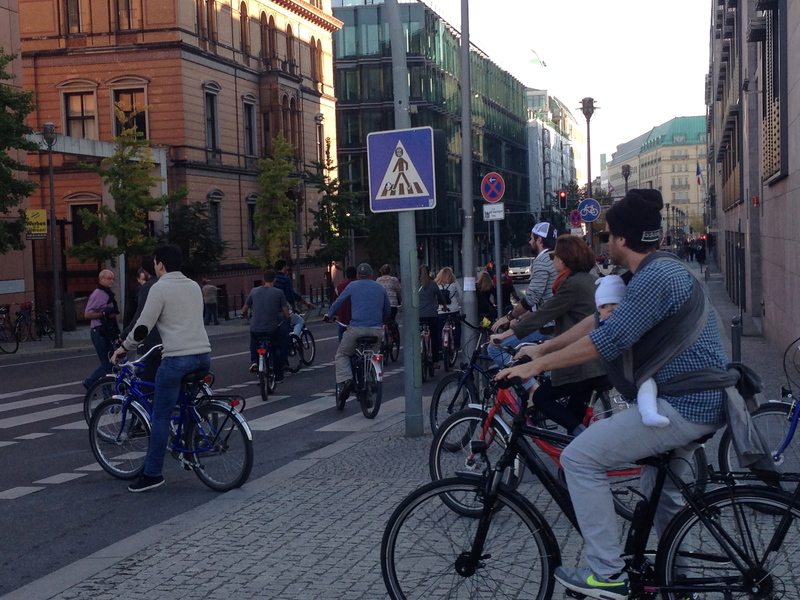 If you have a bike, you’ll get to benefit from Berlin’s extensive bike lanes – just don’t imitate the Germans and skip the helmet. Or, get some exercise and explore Berlin on foot with some sturdy sneakers, while hopscotching around the broken glass on the sidewalks. 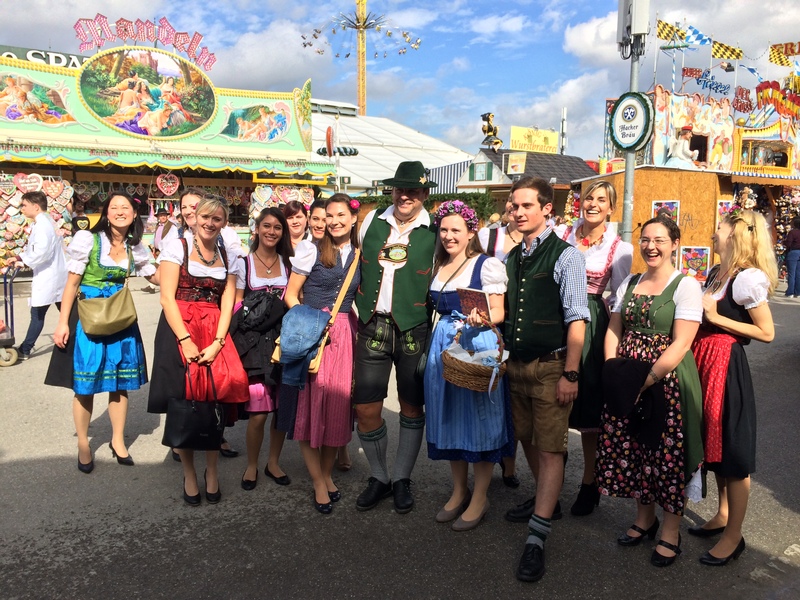 We arrived in Germany during Oktoberfest and headed to Munich, where we discovered that some German stereotypes are true – everyone (at least in Munich) does wear those colorful costumes. And Germans are the third highest beer consumers in the world. If you go to a traditional brewery with a live band, you’ll be interrupted every 20 minutes or so with a drinking song, where you’re obliged to raise your glass, sway back and forth, and clink glasses at the end. 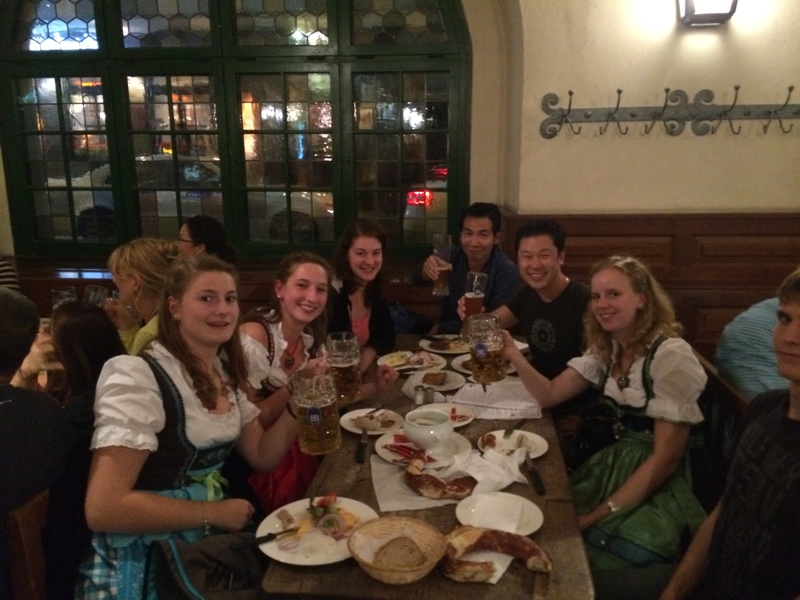 We sat at communal tables in two different breweries with locals, said “cheers” to them (in Bavarian, of course), and got advice on what to order. And it was here, of all stereotypical places, where we felt most welcome in Germany.